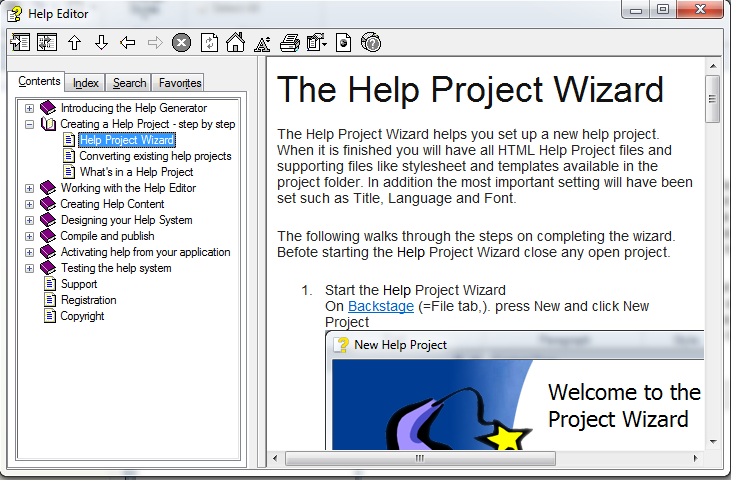 The HTML Help file - also called chm file - is the standard help system for the Windows platform. HTML Help offers distinct advantages over standard HTML, such as the ability to implement a combined table of contents and index and the use of keywords for advanced hyper linking capability. The HTML Help compiler (part of the HTML Help Workshop) makes it possible to compress HTML, graphic, and other files into a relatively small compiled help (.chm) file, which can then be distributed with a software application, or downloaded from the Web.